Our apologies. 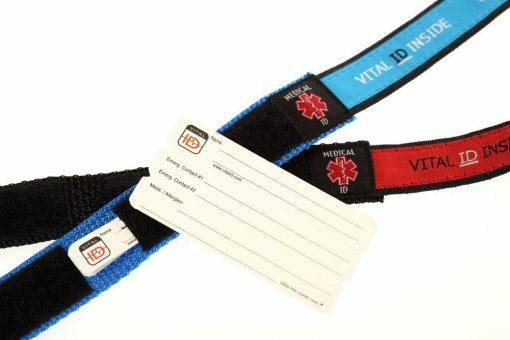 We no longer sell our medical ID bracelets directly. 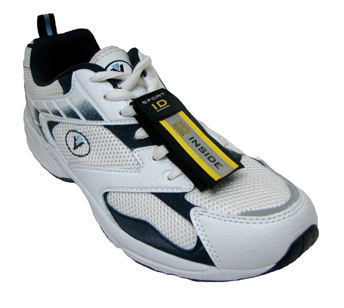 TO PURCHASE – Visit our Lifestyle ID resellers page in the menu bar above. 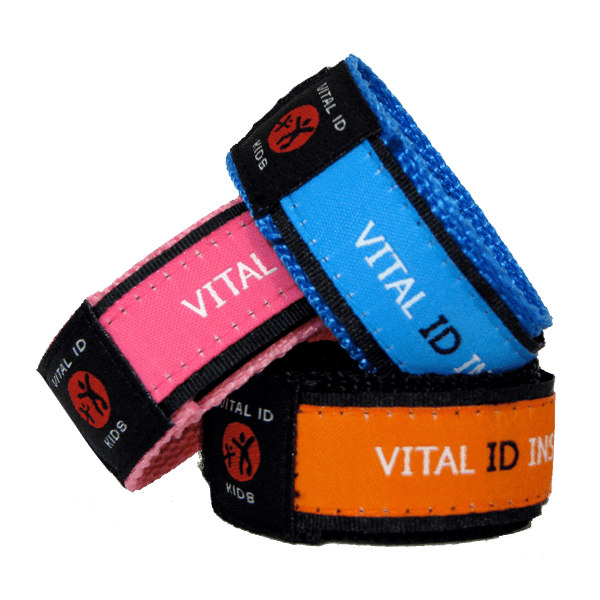 Our “Vital ID” Medical Bracelets are the original webbing Medical ID bracelets on the market (since 2006). Sometimes copied but never bettered, our Vital ID Medical ID Bracelets are a top quality product that can last for years. Beware of low-quality imitations available from other sources. 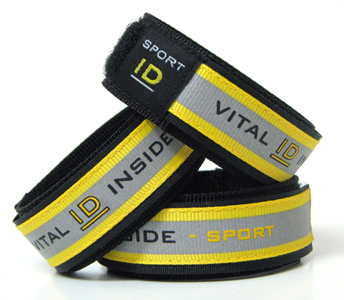 Our “Vital ID” Medical Bracelets are the original webbing Medical ID bracelets on the market (since 2006). 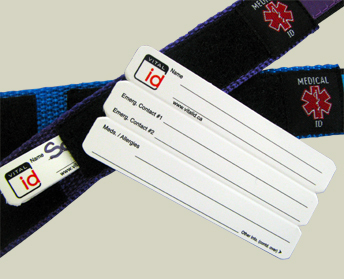 Sometimes copied but never bettered, our Medical ID Bracelets are a top quality product that can last for years. 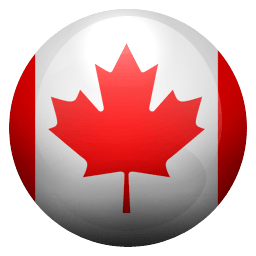 Beware of low-quality imitations available from other sources. 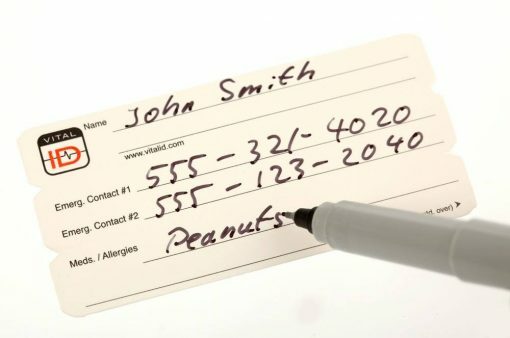 The design allows for easy update of your information by changing out the ID card. Tough enough to withstand the demands of everyday use. Some of our customers have worn our bracelets several years and have purchased bracelets for others as they have loved using them so much.. a testament to how well made our medical identification bracelets are. 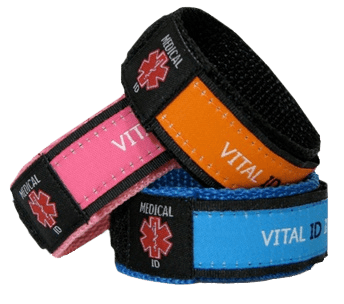 Easily Updated – Our medical alert bracelets allow you to quickly and easily update your information. 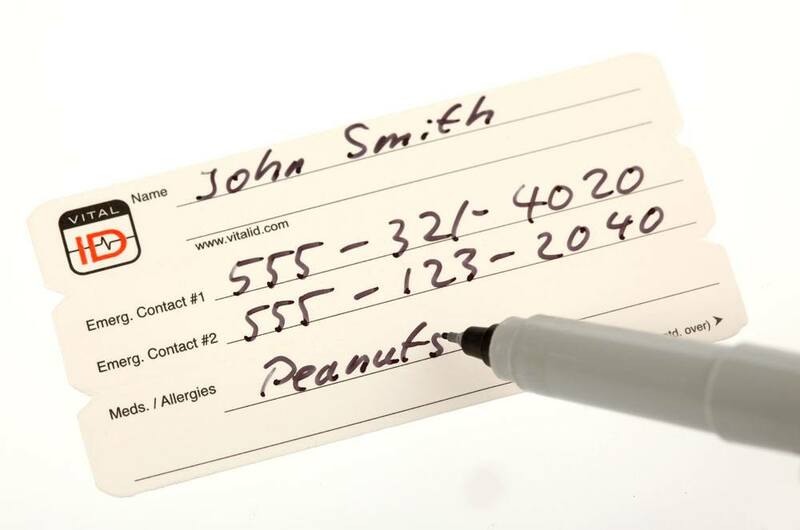 Essential if you change address, update your emergency contacts or modify your medical information. This is impossible or costly using traditional engraved metal medical bracelets. 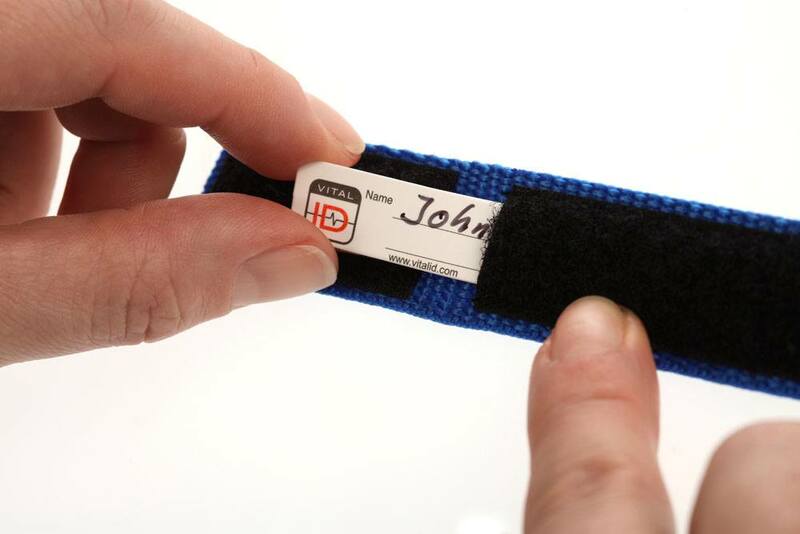 Using our medical identification bracelets avoids the extra expense and delay of engraving a metal ID bracelet.